The goal of the Michigan Consortium for Education Research (MCER) is to engage key stakeholders and experts in high quality education research for the benefit of public education in Michigan and nationwide. To reach this goal MCER is currently working on a project to evaluate the impact of the Michigan Merit Curriculum and the Michigan Promise Scholarship on student outcomes. The consortium seeks to answer contemporary education policy questions. 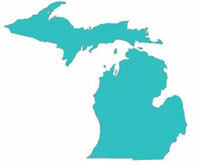 MCER provides research-based evidence to policymakers and administrators in Michigan and informs national policy initiatives for improving education. This research is supported by the Institute of Education Sciences, U.S. Department of Education, through Grant R305E1000008 to the University of Michigan. The opinions expressed are those of the authors and do not represent views of the Institute or the U.S. Department of Education. MCER is a partnership between the Michigan Department of Education (MDE), the Center for Educational Performance and Information (CEPI), Michigan State University (MSU), and the University of Michigan (UM). At the MDE, the Office of Educational Assessment and Accountability (OEAA), and the Office of School Improvement (OSI) actively participate in the consortium. The College of Education at MSU, the UM Ford School of Public Policy's Education Policy Initiative and the UM School of Education make up the consortium's other active members.